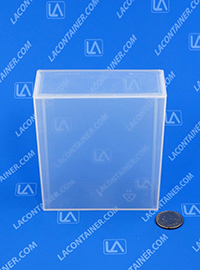 Our Flex-A-Top series are also produced with the highest quality Class VI USP Medical Grade Polypropylene which allows for Autoclave Sterilization in the presence of Aqueous Solutions. 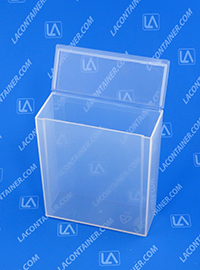 Certifications, Regulatory Data Sheets, MSDS, and Drug Master File assistance is available upon request as we ensure and guarantee strict Material Lot Number traceability with each plastic container we produce. 4.61" H. X 4.22" W. X 1.71" L..
4.49" H. X 3.89" W. X 1.40" L.
117.09mm H. X 107.19mm W. X 43.43mm L.
114.05mm H. X 98.81mm W. X 35.56mm L.
Shop By Size > Square > 4.00" to 4.99"